How does one to go to work motivated in the morning? 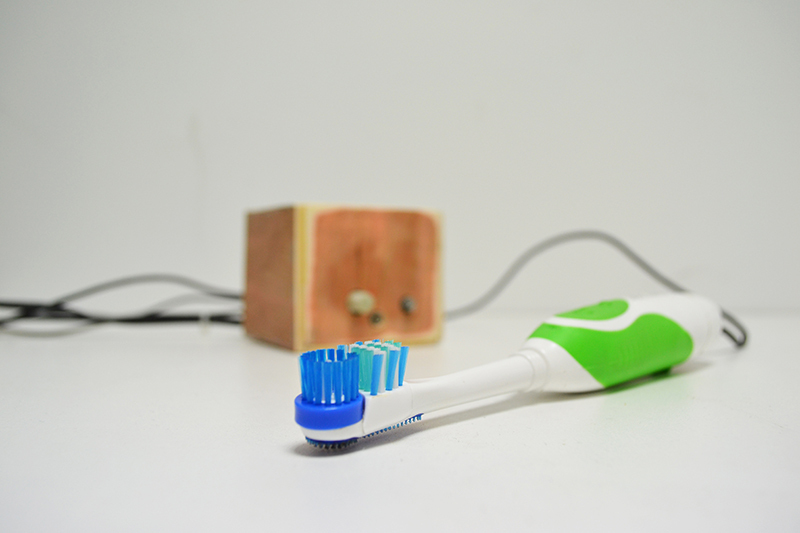 The collective of hackers Dardex found the solution: an electric toothbrush that sings “l’Internationale”. To all those who have once had the strange feeling of hearing a tune in the humming of their electric toothbrush, or even another voice coming out of their own mouth on the limit of paranormal, Quentin Destieu from the collective Dardex proposes to return to materialistic pragmatism and get off to work to a good start in the morning. Your toothbrush will play the communist hymn and your mouth will serve as a listening room as if the Russian military choir had suddenly started the revolution in your buccal microbiome. Generously, Quentin was nice enough to detail his toothbrush hack, the phenomenal success of which has been promised for the centenary of the Bolshevist revolution next year. The duo of Dardex artists, composed of Quentin Destieu and Sylvain Huguet, is also behind the Gamerz Lab and the eponym festival of Aix-en-Provence. This isn’t their first hack. They have already put forward the computer that smokes the narghile, the goldfish that moves around in a chair for the disabled or still Neolithic tools made from recasting of electronic waste. These artists from Aix-en-Provence do not lack humor to question our relation to machines. This time round, Dardex commits itself: the communist propaganda strikes the proletarian close to his body in the morning after waking up. 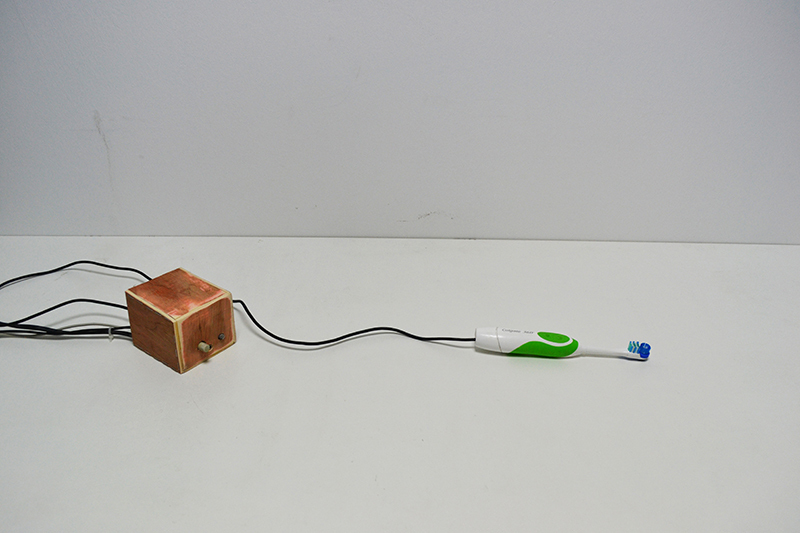 The sound signal of “l’Internationale” is transmitted to an electric toothbrush and interpreted by the rotation speed of its motor. This entry was posted on Wednesday, February 10th, 2016 at 18 h 05 min and is filed under Non classé. You can follow any responses to this entry through the RSS 2.0 feed. Responses are currently closed, but you can trackback from your own site.